Each piece is an exclusive artwork, inspired by an abstract design interpretation. The necklaces resemble architectural networks embroidered with various components, linked in harmonious geometries. The compositions have a particular choice of volumes and colors where black acquires a role of union and contrast. Materials vary between glass, crystals, semi-precious stones, plastic and metal, river pearls, up to paper elements. Light and lively, they are designed for elegant personalities. Tassel Design Collection AW 2017/18 draws inspiration from freehand drawings and graphic sketches. 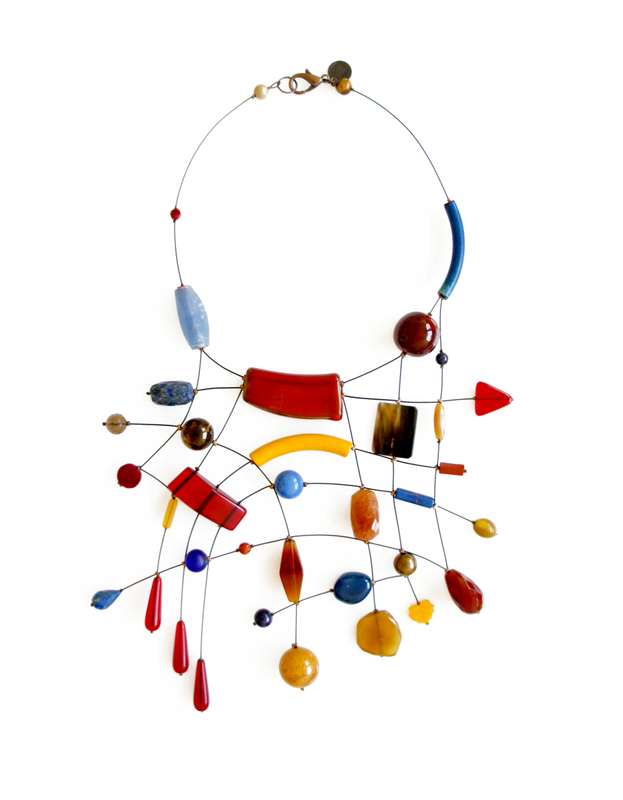 Besides "weaving" a network in which the different components are positioned, the necklace represents a drawing made through different line thicknesses using wire and beads. 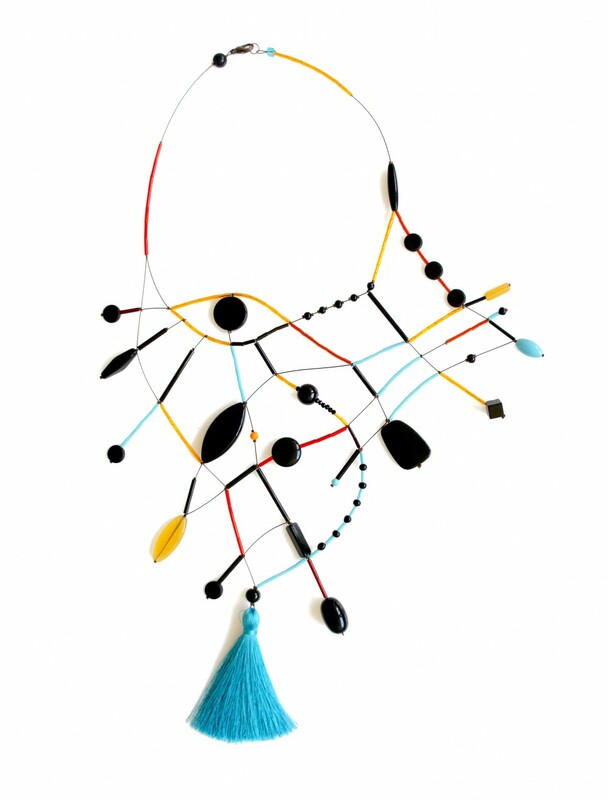 The colored tassels are new elements within the composition and create a lively effect along with other materials and the classic semi-precious stones. In some pieces you can discover eyes, expressions and other elements of the face interpreted in an abstract way. The necklaces are light, when worn, they look like the colorful graphics embroidered on the clothes.